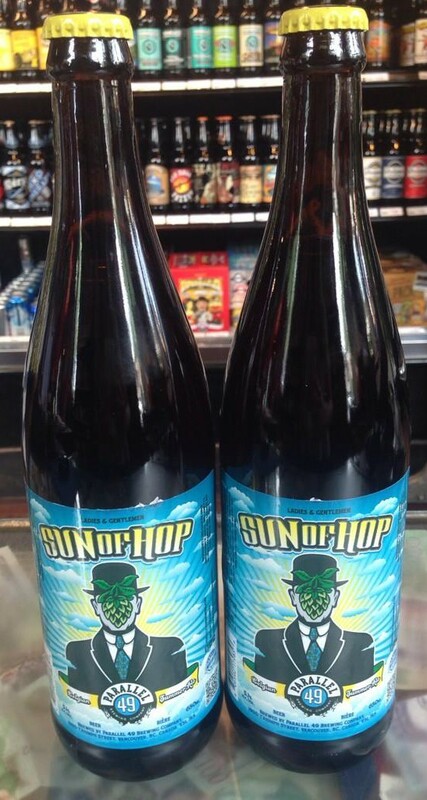 Description: Another Parallel 49 seasonal release, this summer ale brings together Belgian Pilsner and Aromatic malts along with a combination of Willamette, Styrian Goldings and Sorachi Ace hops. It is then fermented using a Belgian strain of top fermenting yeast to achieve a summery, smooth flavor with a mixed hop palate. Tasting Notes: Very little that Parallel 49 does manages to surprise me anymore. In fact, I feel like I’m beginning to become familiar with some of their niches. These include doing crossovers that merge Belgian, English/American and German styles, and the inclusion of hop varieties that normally aren’t associated with the style in question. And this is certainly no exception, employing a Belgian malt base, Belgian yeast, and a combination of American, English and Japanese hops. The end result, as expected, is a smooth, crisp ale that has a yeasty backbone and subtle but complex hop flavor. Description: A continuation and twist on their Valiant Belgian IPA, the Furious Friar is a hybrid ale that merges an IPA with Belgian influences to craft an extra strong, extra hoppy brew. It is fashioned using a combination of 2 Row, Cara 8, and White Wheat malts, bittered with a generous dose of Columbus and Centennial hops, and fortified with invest sugar before being fermented with Belgian yeast. Tasting Notes: I can recall the Valiant IPA from last summer being a pretty big hit. The combination of an Belgian Abbey-style ale with a West Coast IPA is something that they’ve already been shown an aptitude for. But this year, I actually enjoyed it more. Not only is the strong malt and generous hopping reminiscent of an Imperial IPA, these same malts and Belgian yeasts also call to mind a good solid Triple or Blonde. In essence, two my absolute favorites in one glass! Description: A seasonal release from Dead Frog’s expansive (and expanding) lineup, this IPA is brewed is light in color to pay homage to summer. It is fashioned using a combination of 2 Row, Belgian Aromatic, Cara 8, Pale, and White Wheat malts, and then bittered with Cascade, Centennial, and Zythos hops. Tasting Notes: It’s been awhile since I tried a Dead Frog, and this beer was a good reintroduction. It’s complex malt profile was reminiscent of barley wine with its rich palette and sweetness, which is enhanced by the bitter, piney, citrusy and tropical fruit flavors offered by its varied hop content. 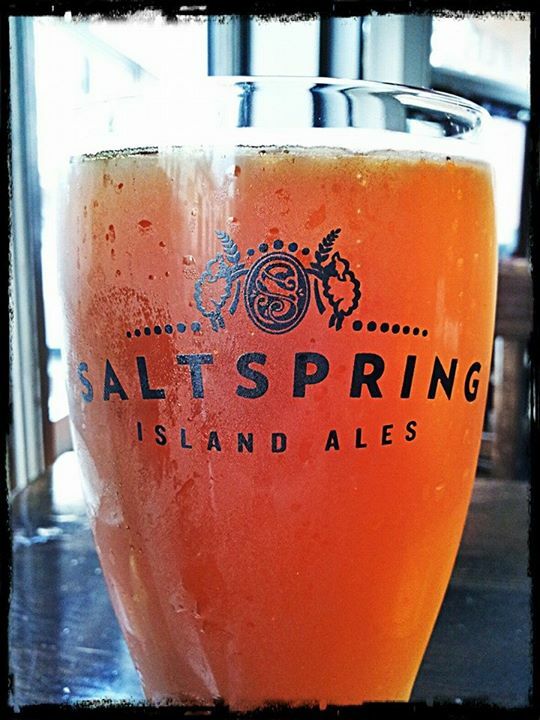 It’s strength is well balanced and appetizing, which makes for a good summer IPA. Description: As part of Moon Under Water’s Harvest Series, this hefeweizen is infused with an array of berries harvested from Vancouver Island farms. These include strawberries, blackberries and raspberries, which are then mashed and added to the wheat malt along with vanilla beans. Tasting Notes: This is my first sampling from the Harvest Series and I have to say I like the idea. In addition to being a good summer fruit-infused wheat beer, it also pays tribute to Island farmers and uses locally-sourced ingredients. In terms of flavor, the combination of wheat malt, yeast, tart and sweet fruits and vanilla create a brew that is refreshing, effervescent and tasty. Description: Brewed for the Hopoxia 2014 – the fourth annual festival dedicated to the brewing of hoppy craft beers – the Homegrown Pale Ale is made using a combination of locally sources hops. These include 90% Nugget, 5% Willamette, and 5% Cascade hops, all grown here in BC and added fresh to this hoppy, unfiltered ale. Tasting Notes: This ale, in addition to using locally-sourced English and West Coast varieties of hops, was also definitely of the wet-hopped variety. This is clear from the hop flavor which is complex, ever-present, but always subtle. Definitely an interesting offer for Hopoxia – a heavily hopped beer that manages to stay clean tasting and refreshing throughout. Description: Named after the flag pirate ships would fly to signal imminent attack, this Imperial IPA is brewed is using a variety of experimental hops, and in significant doses. The end result is a very strong, very hoppy India Pale Ale that combines English-style and West Coast-style brewing traditions. Tasting Notes: This beer delivered in all the usual departments. It had the strong, coarse malts of an Imperial IPA, plus a very significant dose of hop bitterness. And you can sense the varied hop profile in both the smell and the taste. While it comes through with what appear to be West Coast Cascade, Centennial and Amarillo hops in the taste department, the nose calls to mind Kent, Golding and Fuggles – all English strains. A good IIPA, but definitely not for the faint of heart or unaccustomed. Description: A combination of brewing styles, this pale ale is brewed using English malts and West Coast hops (most likely of the Cascade/Centennial and Amarillo variety). 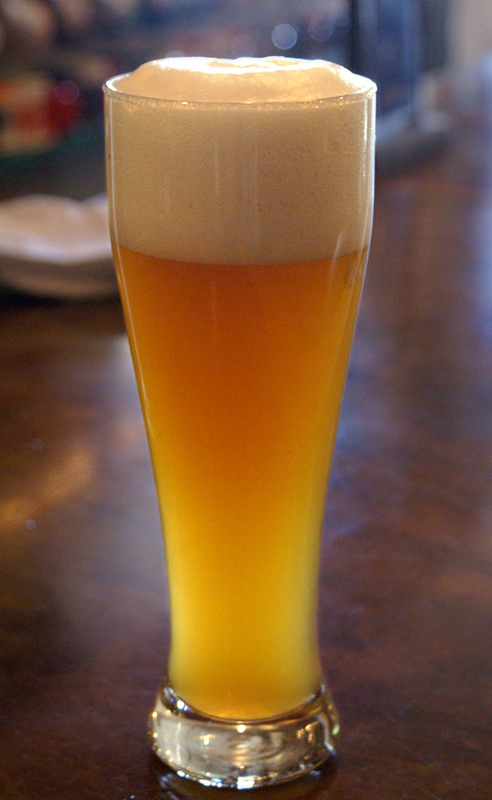 Further indications of its English roots come in the form of extensive dry hopping, which results in a subtle ale with dry, but pronounced hop character. Tasting Notes: I have to admit, this beer was a tad on the light for me. While I certainly appreciate subtle brews, the hop bitterness was a little too light for my taste, and the finish a little too clean and watery. What was missing was a malt backbone, then the dry hops may have come through better. However, I am prepared to admit that this may have been a false positive. I’ll need another bottle for confirmation, stay tuned!